What a shock, and how sad. Our condolences to his family and friends. 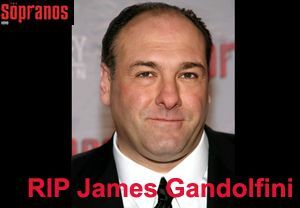 The last episode of the Sopranos. It all ends tonight. Monday Update: I hated it. I watched it again tonight to see if I felt differently. I didn't. It teased and manipulated and then didn't deliver. 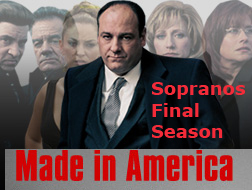 Sopranos Final Season: Episode 81 "Chasing It"
Episode 81 is tonight: "Chasing It." This week, Tony hits an unlucky stretch and AJ makes a life-changing decision. Meanwhile, Vito's widow Marie turns to Tony for help with her troubled son. Is AJ going to decide to join the mob?